Hey everyone. Today I will be explaining the complete system of the new Lunagems. Later this week, I will also be going over the new update in Korea, so keep your eyes open for that! 1.2 Where can these Lunagems be Socketed? Much of this may tie over from my previous article on this subject. If you have not read it, I’d suggest for you to go and check it out! It contains lots of info that is needed to understand the subject at hand in this article. With this next update, XL will introduce a new series of PvP gems, which hold the much of the same stats as the gems that are currently obtainable from the Honor shop. These gems will never fail to socket, and as such will have an 100% chance to go in, and will never break your other gems that already in there. But, as a result of these new gems having no failure chance, the cost of gemming them, in both gold and labor, will be exponentially higher than that of gems currently in the game. The gold cost will depend on the tier of lunagems that you use and the item level of the item that you are socketing, as well as the regrade level of the item you are using the Lunagems on. These new Lunagems will be tradeable, as well as auctionable. You will also be able to put the new Lunagems into weapons with already existing Lunagems socketed in there. That being said, some of the stats will be improved, or even nerfed, depending on which Lunagems we are looking at. That will be covered in-depth later in this article. In the tables below, you will find the stats of the new Lunagems. A Stat cell with a blank background means that this Lunagem is new, a cell with a green background means that this value has improved from its alike predecessor, yellow means that the gem’s stat values have remained the same, while red means that the Lunagem’s stat values have been nerfed. You will no longer be able to obtain the Lunagems that you previously were able to obtain in the Honor Shop, the Loyalty Store, the Prestige Store, or that were crafted with old methods. That being said, the Hero Gems will still be obtainable for the Helmet, and the Prestige Gems seem to also still be obtainable. Also, the Hero Gems now are 300 Toughness instead of 176 Toughness. As for old, non-socketed Lunagems that you had in your inventory before: You can either keep them as keepsakes from older times, or you can break them down for 50 Labor. With Honor Lunagems, you will receive the amount of Honor that you paid for them. For example, for an Honor Lunagem that gave 480 Toughness, you would receive 770 Honor for breaking it down. For crafted Lunagems, you will receive Lunarite. So for example, for the Blue Lunagems that grant 20 Defense, you will receive 1 Superior Wave Lunarite. Also, Prestige gems can be broken down for 100 Prestige. That being said, with those old Lunagems, such as the ones Crafted or those from the Honor Store, you will not be able to socket them any longer. The method to producing the new Lunagems is a new process that is unlike those which preceded it in terms of Lunagems. The material used in producing these new Lunagems depends on the level of the item, as well as what probability of socketing you want. You can check the materials you will need by adding the base items into the UI windows. In our first image, we see a series of buttons, which are present at the bottom of a player’s inventory. By clicking on the button that takes us into the Regrade and Socketing menu, we obtain the interface seen in the second image. This new interface is where a player produces the new Lunagem. At the top of the interface, the player inserts a certain number of Base Materials, which I will cover in a later section. After that, he will get a little list of materials needed for his desired Lunagem, which is shown in the middle upper section. The bottom section, with the darker, empty squares, shows the Success Chance when socketing the Lunagem that the player is about to produce. This is shown and explained in-depth in my previous article on these new Lunagems. Below is a table that explains each Flux Stone. Red Flux Stone Used in the crafting of the new Red Lunagems, these Red Flux Stone are needed for the crafting of all Red Lunagems. Flux Stone Used in the crafting of the new Brown Lunagems, these Brown Flux Stone are needed for the crafting of all Brown Lunagems. Flux Stone Used in the crafting of the new Yellow Lunagems, these Yellow Flux Stone are needed for the crafting of all Yellow Lunagems. Flux Stone Used in the crafting of the new Pink Lunagems, these Pink Flux Stone are needed for the crafting of all Pink Lunagems. Flux Stone Used in the crafting of the new Green Lunagems, these Green Flux Stone are needed for the crafting of all Green Lunagems. Flux Stone Used in the crafting of the new Blue Lunagems, these Blue Flux Stone are needed for the crafting of all Blue Lunagems. The Catalyst Stone is the other Base Material that is used in the production of the new Lunagems. It can be bought from the General Merchant for 10 Gold. There are four total kinds of recipes for each color of Lunagem, two for Tier 1 Lunagems, and two for Tier 2 Lunagems. Below are those recipes for each color of Lunagem. You will notice that some of the recipes contain materials called Crystals. The method to obtaining these materials is listed in the section after this one. The Crystals listed are tradeable and auctionable. That concludes it for today’s article. Hope you guys enjoyed it! If you have any questions or remarks, please be sure to leave them in the Comment section below. I’ll be sure to answer them to the best of my ability! The next article will be the translated Patch Notes for Patch 3.7, and will probably be released tomorrow, so keep your eyes open for that as well! Old gems that remain, are their rates being nerfed to the new values. OR will they remain as is with higher values than will be possible after this change? Old gems that remain UNSOCKETED cannot be used as long as they are from Mistsong/Loyalty, are Crafted, or are from the Honor Store. Old gems that are SOCKETED remain in there, and are untouched in terms of stats. You CAN insert the new Lunagems in a mix with the old Lunagems that were ALREADY in the item BEFORE. So does this mean that players with 3% parry gems will now, for the time being, be much farther ahead in terms of parry rate then those, say , on fresh start server? Will those 3% parry gems be nerfed down to the new maximum amount? Yes, although I’m sure it will eventually be adjusted by Trion and XL. Hey, my first article was wrong, thanks for bringing that up. You CAN socket new gems with old gems still in there. Thank you very much for the super fast reply! This is awesome, I have some pieces of gear with 1 gem slot empty, finally full gems! You know if we extract the old gems we can get them back and if we have prestige gems we can have our prestige back ?? 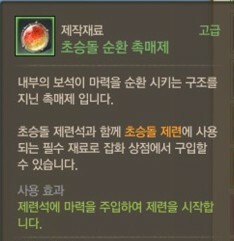 I didn’t find that information anywhere so far… On korean i’ve seen we can have prestige back and old gems but on the NA will work like that? I can’t say for sure about anything on NA/EU as I’m not a Trion employee or affiliate. It is likely that we have the same system as that in Korea, but as to whether we can for sure extract Prestige gems AND get 100 prestige back per gem is up to Trion. I’d wait for the PTS to come up. 1. The notes say Fine Wave/Fire Lunarite can be obtained from metal crate as well as Larceny Crates. I know previously they dropped from metal crates, but can you confirm that they will in fact drop in basic Larceny Crates? 2. If yes, I would assume they would only drop in a certain tier of crate and above (ie – just from Queen/Ancestral)? 3.Lastly, if both previous statements are true, would you happen to have an average drop rate? I’m asking as someone who is worried that stockpiling Fine Fire/Wave pre-patch could backfire if a huge supply increase is caused by this new method of obtaining them thus tanking the price even with the new increased demand. Can you confirm the ability to socket bows with crit damage gems? As your table would indicate. 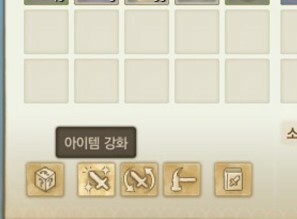 Confirmed, as #2 most geared player on Korea has these Crit Gems in his bow. how can check top gear player on KR .a link ? There is a special method to doing so without actually logging onto the Korean client that I am not ready to divulge as of yet. so if i get this right t3 gems are going to be completly out of the game? ther are just t1 and t2 gems and the t2 gems are slightly transformed to the “new” t3 gems? BUT: if you now socket your stuff with phisic defense you get 100. Thanks again for your work. Was wondering if the new pant -%dmgtype gems would be viable (for maybe arena sets or something), but doesn’t appear so. RIP evasion gems (No more). So what happens to already socketed evasion gems? They strip them out or something? The Evasion Gems that are already in an item just stay in there. Otherwise, Evasion Gems are RIP. I have several fairly specific questions so if you don’t know that’s fine but if you do know I would love to know as well. 1) Hero Gems are changing from 176 toughness to 300. Do you know if this applies retroactively? (Have 6 in helmet and 7 in bank). I haven’t done the math but this seems worse than the current -.x cast time. In the event that the current – frigid track cast time gems are better, would we even be able to craft the current type in 3.5? so even if we try to craft/store up -.x frigid track gems now as we would not be able to socket them later correct? from your last post on gems. not sure if has been updated. Yep. I’m aware of that item; just didn’t edit it in yet. 1. Yes, it does apply retroactively. What happens to normal and superior wave/fire lunarite since you only need fine now? Whats with the gale/earth lunarite like finesse, impenetrable? Are you sure you cant socket old gems? Not even trough opening the gem menu first and dragging them in. 3. Yes, I am 100% sure. I tried it myself on Korea. Is there a reason you didn’t list belt class gem options or do they not exist? Belt gems count as WAIST gems. It is included in there. On the other hand, Sleeves no longer have individual gems. Also Why are there no Sleeve options listed? Because the only gems that now work on Sleeves are the ones listed in the ALL category. what happens to the materials you need for lunaritecrafting?.. gale lunarite & superior/fine gale lunarite? earth lunarite & superior/fine gale lunarite? btw.. what happens to handycraft? the whole gem crafting can now be done by everybody as i get this new system. are the 3 crafting tabs just out of the handycraft where you could craft the auroria and the reinforged gems? 1. No idea. That is something I haven’t been able to find out yet. 2. Handicrafts are now just for Jewelry and that 50k proficiency for the T2 gems. RIP Handicrafts. thx again for all the effort. so if i get this right its not possible anymore to gem attack speed into your bow (for example stat bow for melee’s). also its not possible to gem in flat dmg (melee dmg) anymore. but now you can soket melee crit dmg and focus inside the bow. All of the content UP UNTIL THIS LATEST PATCH (The latest patch includes the Gem update) are going to be released with 3.5. Everything with this gem patch and after will be either 3.5B or after. Hey Mark, thanks for everything that you have done for the community ! We really appreciate it. Is it possible to extract even hero lunascales using the new extraction item and keep it in our inventory? I think so, although I’m not 100% sure. Just wondering what the breakdown of 220 Loyalty Lunagems will grant with the patch? Will it grant loyalty or will it grant lunarite equivalent to that of the cost to craft them or what will it give? No idea. My hypothesis is that they grant Yellow Crystals, but don’t take my word on that. I dont know if im missing something but “For crafted Lunagems, you will receive Lunarite. So for example, for the Blue Lunagems that grant 20 Defense, you will receive 1 Superior Wave Lunarite”, what do i do with that “Superior Wave Lunarite”, its not in any of the recipes? Or can i convert it to fine wave lunarit somehow? As I said in some of my other replies, I have no idea what will be done with Superior Wave Lunarite. We’ll just have to wait and see. What happened to the other Auroria lunagems? I see only some of them as there were 2 types for every class. The Sleeve gems no longer exist. If we have the Sleeve gems already socketed in some gear will we be able to keep them in that piece ? You will be able to keep them in that piece, but if you remove them, you will not be able to socket them again. The songcraft gem you have linked is the wrists startling strain one… The eternal gem gives increased duration to zeal which, for a cleric, is extremely helpful. On a serious note, there is no reason to complain to me as I cannot change it. Complain to the devs, not to me. It is not my decision. I am just a translator translating official info from Korean to English. No, I am not complaining at you – rather, stating that I did not see the songcraft zeal lunagems in the hopes that you might have overlooked them. 1. 100 def gem already socketed will stay or will be transfered into new t2 gem? 2. Lucid loyality crit gem( 4%) its the same as new t2 gem so its better to not socket it now? 3. Will 60 def pen lunagems in instrument already socketed be removed/ changed? 1. Yes, they stay socketed. All old gems will stay socketed unless they are removed by you. 2. Yep. Better to wait for 3.7. 3. No, you can remove them by yourself with the new item. The best gem to be put into an instrument would be Attack Damage (Melee, Magic, etc. ), which can go anywhere except for Weapons. Hi). 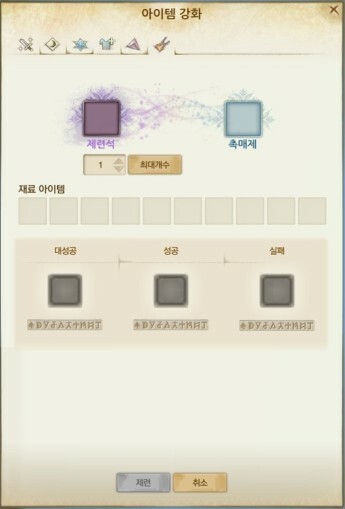 I would like to clarify about lunagems which can be obtained from the hero system. Will these lunagems be unique and will only be received by heroes or such lunagems in the helmet can any player create? Also I would like to know what the old lunagem and mistsong gardens of ordinary, unusual and rare quality (white, green and blue) understand? What resources will I get if I disassemble the lunagems of different quality from the mistsong garden? Hi mate, do you have information about “Treasure Map with Coordinates” ? What can we get from dig it out ? AA 3.0 have yellow crystal drop from this and now there is no more yellow crystal gems. Will we get new type of yellow crystals ? Or some new loot ? You probably already answered this one but, for prestige gems currently in equipment (like a full cast time gemmed bow), can you remove them from the item to break them down into prestige? Or can they be broken down into prestige still on the item? Wondering because if so it would seem that they just introduced a method for players to farm prestige by buying gemmed items now. You can remove the item and break it down into 100 Prestige, which is the cost that you got it at. After 3.7 were the 1Hand Focus gems that are already socketed get reduced to 205 Focus like the new 205 Focus gems or in Korea did weapons with Focus already slotted get to keep their already slotted 285 Focus gems? Some people are suspecting the slotted Focus gems will get changed even if slotted on current weapons like the Toughness gems are supposed to be adjusted even while they are slotted. Others say they will be grandfathered… Trying to determine what is actually going on in Korea with Focus. If you slot before the patch hits, then you keep your gems and the values stay the same as before the patch. So, if you slot right now with 285 Focus gems, you’ll have 285 Focus gems in your weapon post-3.7 as well. Flux stones bought with prestige and crystals bought with honor are tradeable or bound? Curious if stocking prestige on alts is worthwhile as alts may have tons of prestige but little honor. You list HP increase gems for shields, in the ‘Where can these Lunagems be socketed?’ section, but you don’t include them on the T1 or T2 lists. I was very interested in the values on these. Also, current belt gems for Revitalizing Cheer are flat +400, +600, or +800 recovery increase, not percent increases, so they are the wrong color code. This is actually pretty wrong, as it doesn’t take into account the new crafting recipes or the socketing costs. Yes, there is confirmation on this. It’s on the official site. Of course they are not the same exact thing; these gems are being nerfed. Flat amounts for gems are, in general, better than percentage amounts. Again, this is a nerf. For that reason, it is not the same value. Hi, will the crystals be tradeble, the honor one? hey buddy, will all these lunagems always sucess or only for honor lunagems, and the rest are still rng? All of these are 100% success rate lunagems.